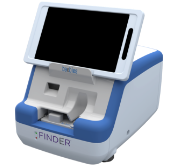 by delivering innovative products and services to advance newborn screening and pediatric testing. to make life better for millions of babies. By developing easy-to-use and portable products, Baebies is focused on extending newborn screening across the globe so all babies have access to a healthy start. 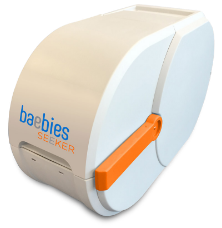 At Baebies, our sole focus is developing products to advance newborn screening worldwide. This allows us to give enhanced attention to the specific challenges in newborn screening. Baebies has a focus to improve infant healthcare across the globe. We believe that everyone deserves a healthy start, regardless of their socio-economic status or geography. *SEEKER® is available in the USA and territories which accept CE Mark. Please check with your local sales representative for local availability/product registration and regulatory status. FINDER™ is not available at this time for sale or use in any territory.